A well proportioned studio apartment. 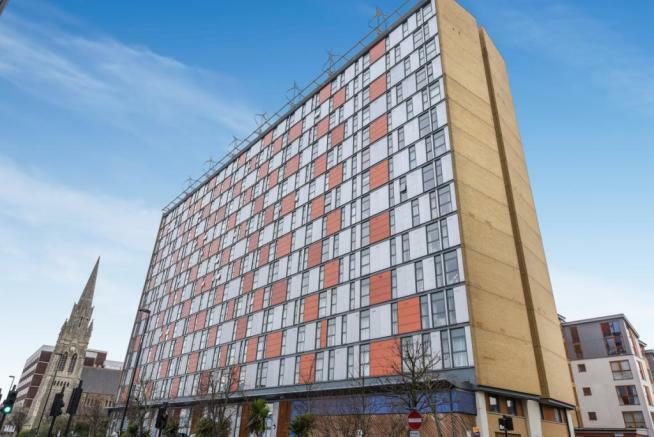 Located on the 10th floor of this apartment building, right in the centre of Croydon with close proximity to all local amenities. Comprising of an open plan Living Room which includes the Bedroom space. The Kitchen is off of the living space and includes integrated washing machine and free standing fridge freezer. A bathroom with shower over bath located off of the hallway completes the apartment. City House is located at 420 London Road, Croydon. The building used to be known as the 'Philips Building' and is situated in the middle of Broad Green Avenue and Cambell Road. City House is close to Croydon town centre with its excellent range of restaurants, clubs, large department stores including Marks and Spencer, Allders, Debenhams and House of Fraser as well as the wide range of high street outlets most of which are situated in the Whitgift shopping centre. There is a wide choice of schools also within easy reach including the prestigious Whitgift school. 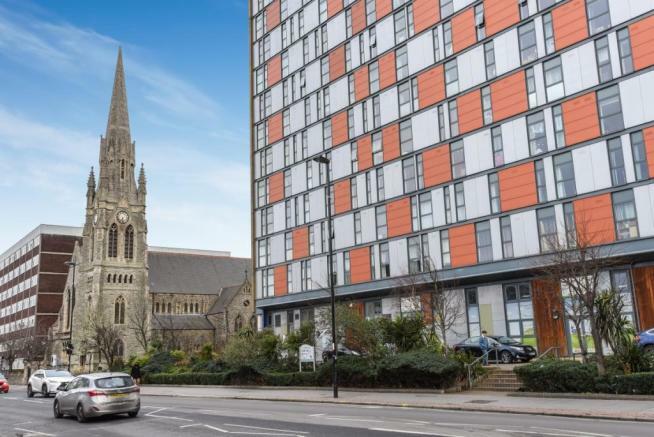 West Croydon railway station is a 10 minute walk away and East Croydon railway station is about a 20 minute walk. The M25 with its links to Gatwick and Heathrow is a 25 minute drive away (Junction 6). Fairfield Halls offers a range of films and shows and there is also a selection of good hotels in the near vicinity. This property is marketed by Hamptons International Lettings, Caterham at £800 per month. Rightmove has calculated the price per week for comparison purposes only. Property reference P184057. The information displayed about this property comprises a property advertisement. Rightmove.co.uk makes no warranty as to the accuracy or completeness of the advertisement or any linked or associated information, and Rightmove has no control over the content. This property advertisement does not constitute property particulars. The information is provided and maintained by Hamptons International Lettings, Caterham.